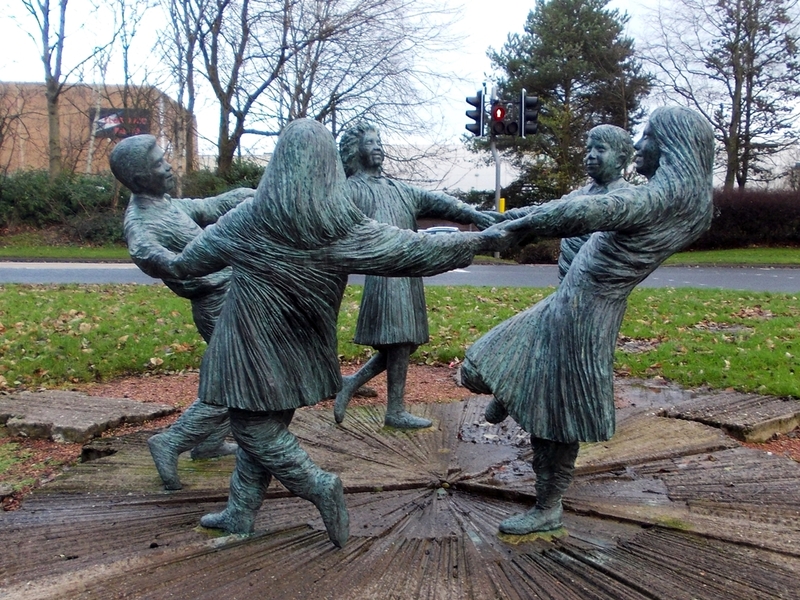 exact replica was gifted to Glenrothes’s twin town, Boblingen, in Germany. wordpress community a very MERRY CHRISTMAS!!! 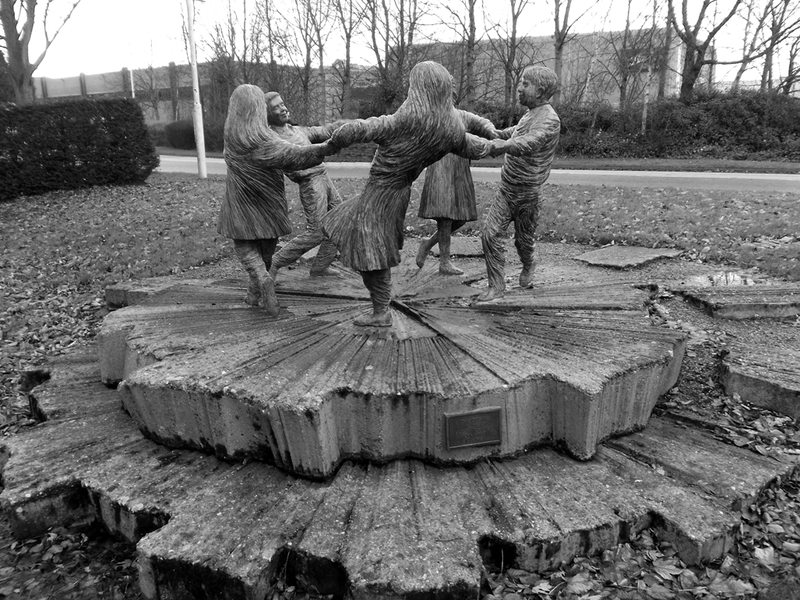 This entry was posted in Glenrothes Town Public Art, Thursday Haiku and tagged Fife, Glenrothes, photography, Scotland, sculptures, Thursday Haiku. Bookmark the permalink. You know, as incredibly familiar as I am with this statue, I didn’t actually know it was called The Dream. I always referred to it as “the one with the kids playing ring-a-roses” often in a sentence explaining where I was parking so as to avoid the stupid time limited parking at the town centre. 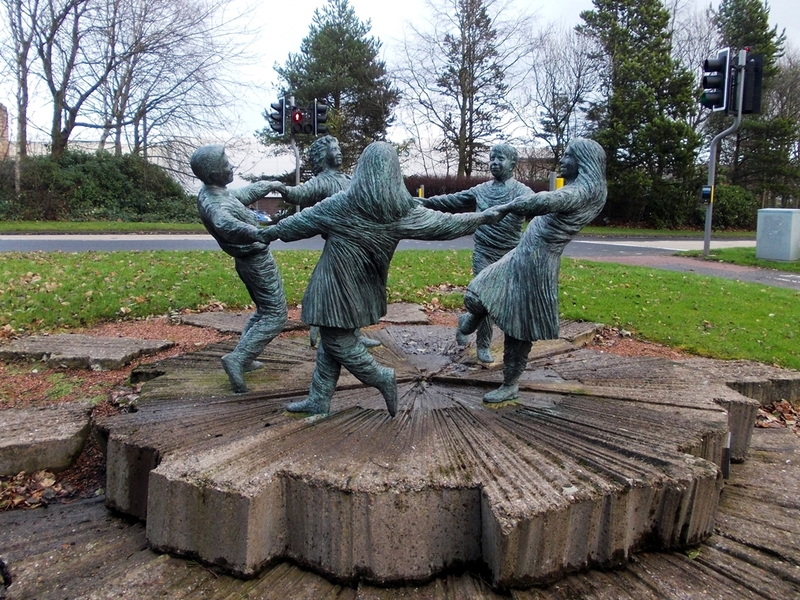 It is, however, one of the statues I really like in Glenrothes. It’s got a great sense of movement to it. Merry Christmas to you and yours as well, Andy. I hope it’s a wonderful day and that 2016 is filled with blessings. I hope you and your family also have a wonderful Christmas and a brilliant 2016! Merry Christmas to you, Andy! Thank you for sharing so many wonderful images and I’m looking forward to seeing more in 2016. This is so lovely Fife!! Happy holidays! Merry Christmas – beautiful sculpture. Love your haiku… “festivity, glee and fun” is the perfect description for the sculpture and the season. Merry Christmas!!! Thanks Jean 🙂 And a very Merry Christmas to you too! And a very Merry Christmas to you too Andy! Thanks Tom 🙂 Hope you and your family have a wonderful Christmas and a very happy New Year! Happy Christmas Andy to you and your family ! Such a lovely sense of movement in this sculpture .. it really appeals to me, I love it !